SPEND RM100 and above with your VISA card to participate in the contest. ANSWER the question and fill in your personal particulars. 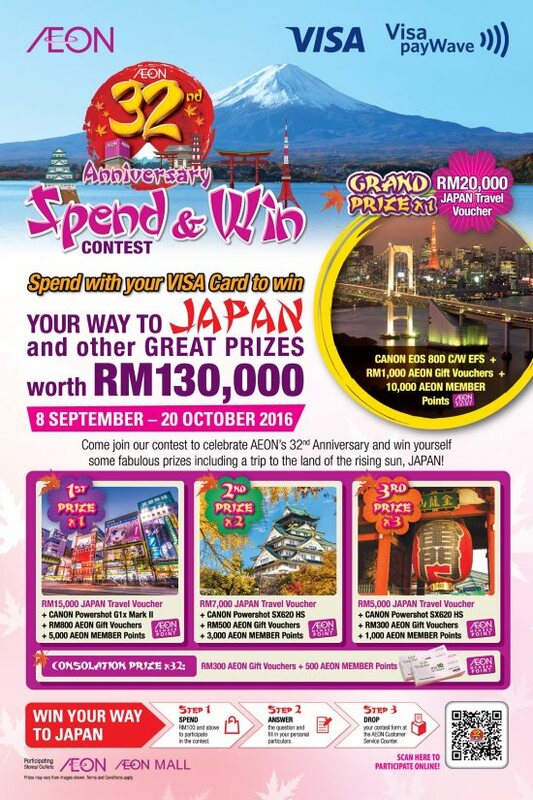 DROP your contest form at the AEON Customer Service Counter.